Thousands have braved freezing temperatures in Moscow to march for free and democratic presidential elections. They accuse the government of planning a fraud. A separate pro-government rally elsewhere in the capital has also attracted thousands. Throughout last week, volunteers distributed leaflets calling on people to join the march “For Fair Elections.” Coming exactly a month before Russia’s presidential poll, the rally is the third of its kind sanctioned by city authorities since anger erupted over alleged vote-rigging in December's State Duma elections. Security in the capital has been stepped up, with some 9,000 officers on the streets. ­The event, which started with a march down Yakimanka Street and continued with a rally at Bolotnaya Square, has attracted at least 34,000 people, according to estimates. Other sources put the figures higher, at up to 50,000. This, however, is considerably smaller than the record set at the December protest rally in Sakharov Avenue, which attracted some 100,000 supporters. The bitter Russian cold may have had a dampening effect on the protest mood. The event's organizers have raised around US$100,000 for the rally. It was used to set up a stage, arrange light and sound equipment and provide basic comforts like hot drinks and access to public lavatories for all those in attendance. Several presidential candidates had originally planned to deliver speeches at the rally, but later changed their minds. 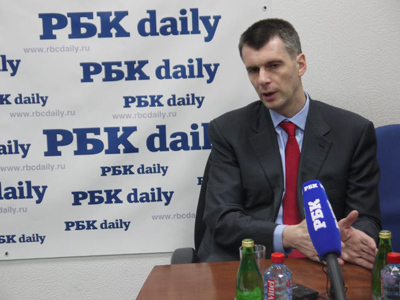 Businessman Mikhail Prokhorov joined the march, becoming the only presidential candidate at the protest. “I am in the very center of the protest, talking to people. It’s cold but they don’t let me go. And it pleases – they need me then,” Prokhorov posted on his Twitter page. More than 1,000 people marched holding banners and flags in support of Prokhorov. Sergey Mironov of Fair Russia decided not to attend after Prokhorov and Communist leader Gennady Zuyganov announced they would not be speaking at the event. 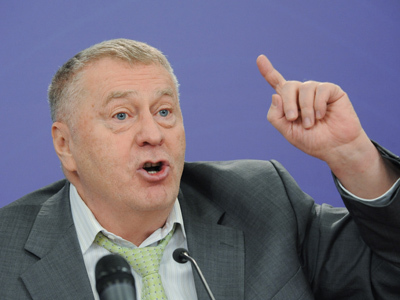 Lib Dem leader Vladimir Zhirinovsky has organized its own rally in Pushkin Square in Moscow, which gathered some 1,000 participants. Zyuganov is out of the capital on Saturday. ­As if all that wasn’t enough to make February 4th the biggest rally day in Russia, a pro-government demonstration also took place. More than 100,000 people gathered on Poklonnaya Hill, according to police reports. Supporters of the Patriots of Russia movement and several other groups were protesting what they call “the so-called Orange mood in the country” and to “show people we have a lot to lose.” “Orange” is a reference to Ukraine’s Orange Revolution of late 2004 and early 2005. Back then, mass political protests overtook the country following presidential elections which people claimed were riddled with corruption, voter intimidation and electoral fraud. Critics slammed the events as foreign-sponsored coup with a rent-a-crowd protest being used to oust a legitimate government. Organizers of the rally state that they are pro-order rather than pro-Putin. Unsurprisingly, the prime minister and presidential hopeful voiced his support for the event, saying he shared its sentiments. “The people heading to Poklonnaya Hill are going there to state their sincere anti-Orange position. I am grateful to them and I share their views,” he told Interfax news agency. 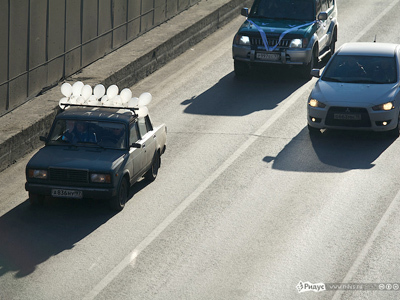 Moscow is not the only city to see political action. Cities like St. Petersburg, Nizhny Novgorod, Ryazan and dozens more, from the country’s Far East to the westernmost city of Kaliningrad, witnessed demonstrations of one sort or another. Several small events around the Russian election were held in other countries as well. 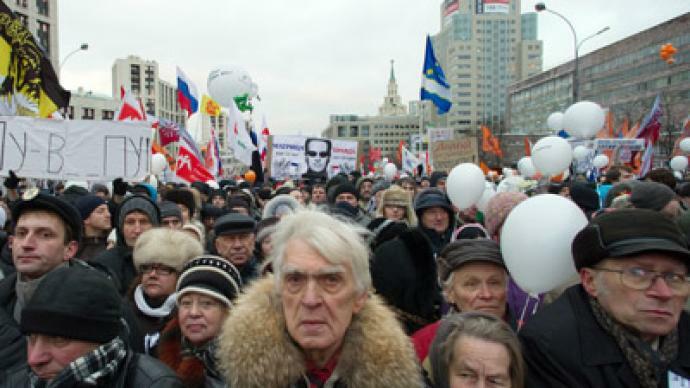 ­Since mass protests started in Russian in December, the government has taken steps to address the people’s demands. It has launched a raft of reforms of the country’s political system, including re-introducing the direct election of regional governors and simplifying the process of forming new political parties. It has also funded an initiative to equip the majority of polling stations in Russia with webcams which will broadcast real-time video on polling day via the Internet. The idea is to allow anyone who wants to to act as a citizen observer from the comfort of their own home. The government has offered opposition activists a share of election monitoring mandates allocated to the ruling United Russia party. It was alleged earlier that leading liberal Grigory Yavlinsky had been barred from taking part in the election to prevent observers from his Yabloko party from doing just that. The Central Election Commission blocked his candidacy after finding that a large number of signatures he had submitted to prove public support were in fact photocopies. Prime Minister Putin also agreed to have his TV airtime slashed during the critical campaigning period. The move follows complaints that United Russia were received a disproportionate amount of media coverage in the run-up to December’s Duma poll.